Fixed width blades: 4″ thick x 8″ wide with replaceable tines. Machine: Volvo L320 99,000# wheel loader direct pin mount carriage. 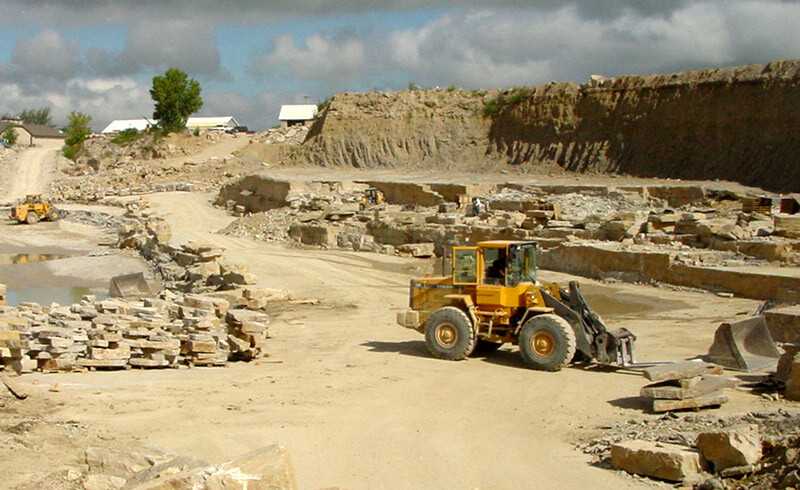 Application: Lift 18 ton quarry blocks. Forks Capacity: 37,000 LBS @ 2′ Load Center. Special Features: SAS QUARRY FORKS (Forks featured at the top right) have a heel support built into the carriage, immediately behind the elbow of the forged fork. This provides direct transfer of fork impact stress into the carriage, minimizing the stress on the elbow of the fork. Also to prevent unnecessary fork stress in the elbow of the fork, caused by having a heel lock welded to the back lower edge of the fork, SAS has opted for two locking steel face plates to secure the forks on the bottom and large individual hardened pins at the top. Forks can be easily replaced in the field with no cutting or welding directly to the fork tines. Minor cutting and welding is required to the locking steel face plates to change out the fork tines.